Congratulations, you’re engaged! You found the love of a lifetime—and of course the diamond engagement ring of your dreams! And while you could make a list a mile along of everything that makes your fiancé special, there are plenty of amazing facts we bet you didn’t know about that diamond on your finger. 1. It takes time, lots and lots of time… and a little bit of luck. It takes from 1 to 3 billion years for a diamond to fully form 100 miles below the earth’s surface in very specific parts where the combination of temperature and pressure is just right. It doesn’t stop there, “diamonds are stuck 100 miles below the earth’s surface unless another set of improbable circumstances bring them to, or close to the surface” tells Mobley. “The idea of cutting diamonds and polishing them to maximize the brilliance of the stone came around in the Middle Ages” tells Mobley. Before diamond cutting techniques we re around, diamonds were used in jewelry in their natural shape, called an octahedron. It wasn’t until 100 years ago that the “round brilliant” cut was created! Post Middle Ages, we got a little better at adding more facets and changing proportions to keep achieving more and more scintillating results. “The most notable cuts are the Old European, Old Mine Cut, and the Rose Cut” says Mobley. “Diamond cutters no longer use these cuts, but having one definitely has its charm. It shows that it was likely cut 100 or more years ago.” Talk about vintage… these stones are definitely making a come back. 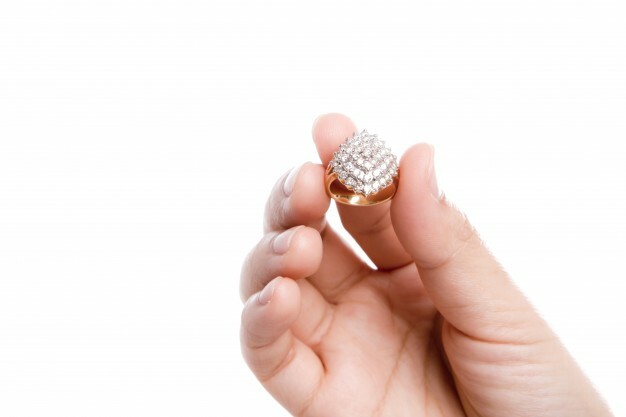 We all know the magic word “carat”, it gives us an idea of how big our bling will be. But did you know the name originates from the seeds of the carob tree which was used as the gold standard for weighing precious stones centuries before our modern day scales came about? Thankfully we’re not in the Middle Ages anymore, they didn’t seem to get the shimmer factor. Mobley tells us, “people often wonder which cut of diamond looks the largest, but there is no simple answer to that question. It’s generally thought that the oval and marquise cut diamonds, because they are elongated, give the illusion that they are larger.” Two diamonds that both weigh one carat can actually have different diameters due to the stone’s depth. The most expensive jewel ever sold at auction came in at $71.2 million at Sotheby’s in Hong Kong just this year. The brilliant massive pink diamond weighed in at 59.60 carats. Now that’s impressive. Your FEEDBACK and REVIEWS matter to us to improve and grow! This entry was posted in fantasy diamonds and tagged best diamonds 10036, diamond in nyc, diamond jewelry 10036, diamond rings 10036, diamonds 10036, diamonds llc, engagement ring 10036, fantasy diamonds, fantasy diamonds llc, fantasy diamonds rings.